Harmony and elegance are punctuated by contrasting materials. Vela’s design inverts the typical vertical development of the door and suggests new visual effects. 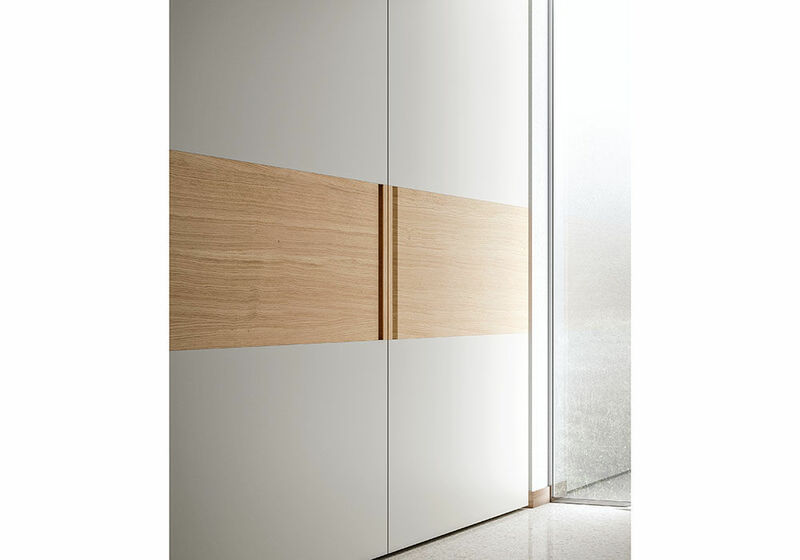 The central panels that interrupt the finish of sliding or flush sliding doors create three, horizontal bands. 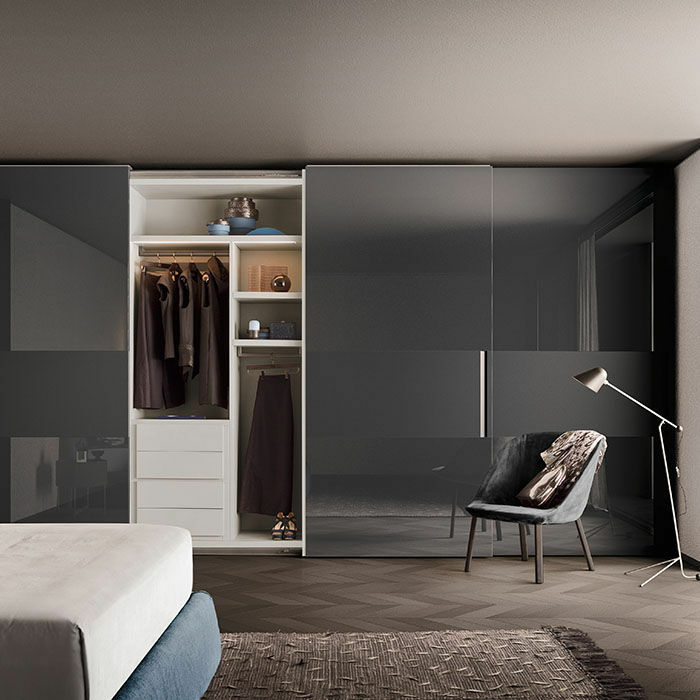 A contrast is achieved by choosing different lacquered or wood finishes for these bands. 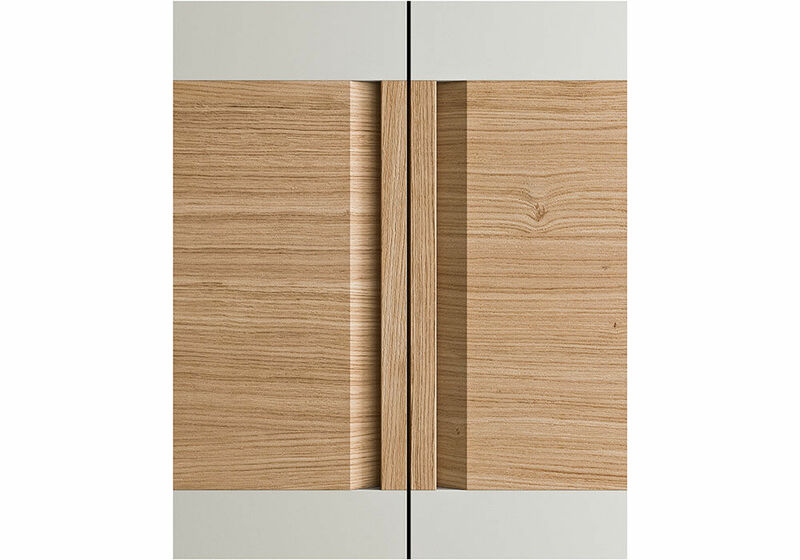 The vertical handle, carved out of the central panel, is available lacquered or in wood.